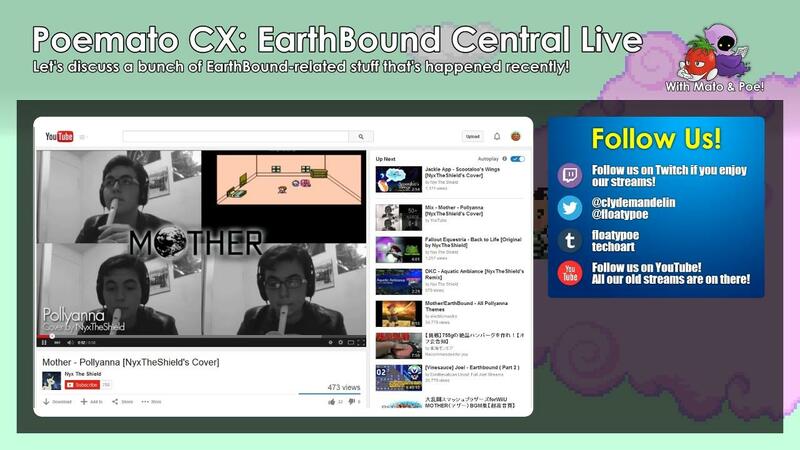 For years and years I’ve wanted to do a regular online show that would cover the latest EarthBound news, have Q&A sessions, and more. And yesterday I finally did it! It was kind of impromptu and without early warning, so here’s a summary of what happened! 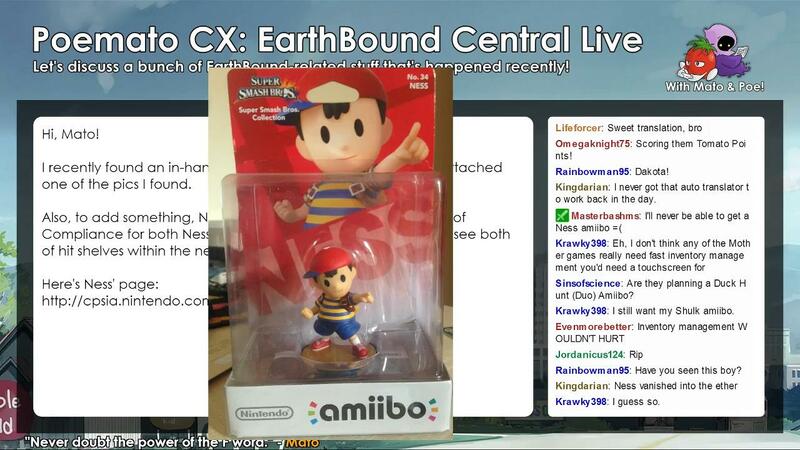 Poe and I casually discussed a lot of the recent EarthBound/MOTHER news, like Ness Amiibos, the Lucas DLC in Smash Bros., the recent Portuguese translation of EarthBound, and more. We also shared a lot of the submission e-mails in my backlog, so if you send something in but it doesn’t get posted on this site, I’ll probably share it on these live shows, so don’t worry! 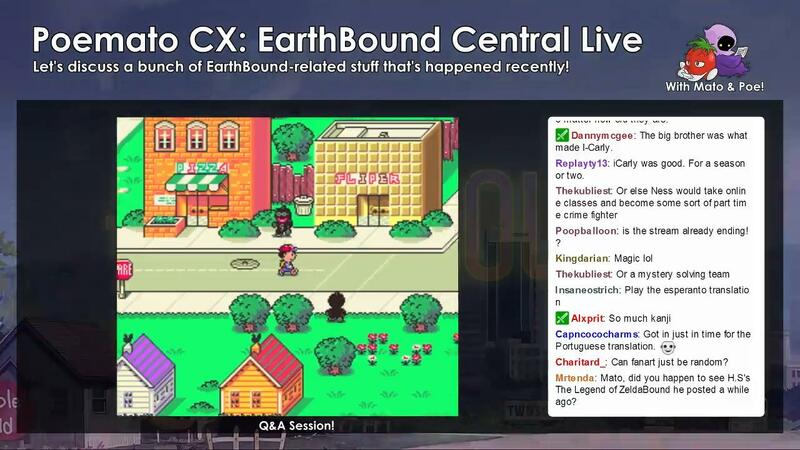 We then had a fun Q&A session with the fans in the chat (topics included EarthBound 64, the difficulty for some to get into MOTHER 1, the upcoming EarthBound convention, and more). We also shared art and videos that chatters sent in during the stream! 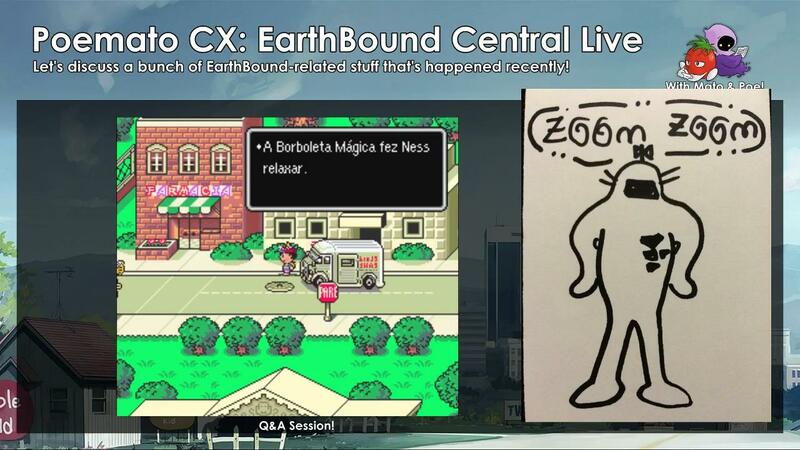 Then we ended the stream by playing the early part of the Portuguese fan translation of EarthBound! My YouTube channel – if you miss a show, it’ll be here later on! In future shows, besides Q&A and news discussion, I hope to continue cutting into the submission backlog as well as play new hacks each time. 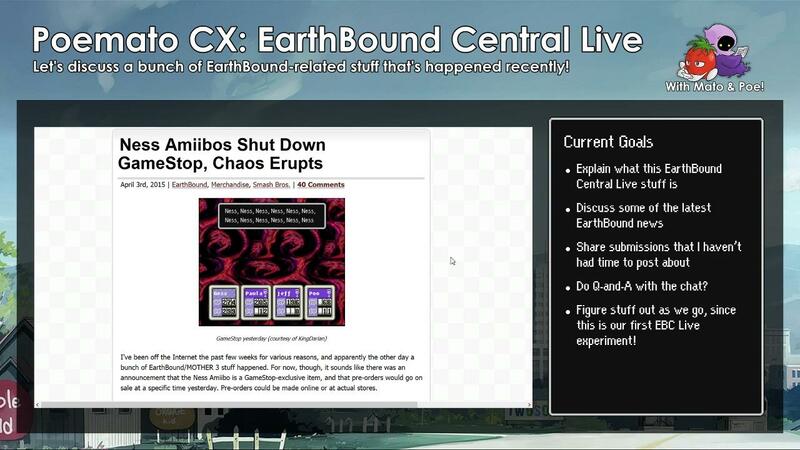 Come stop by sometime if you’re hungry for EarthBound/MOTHER series fun! 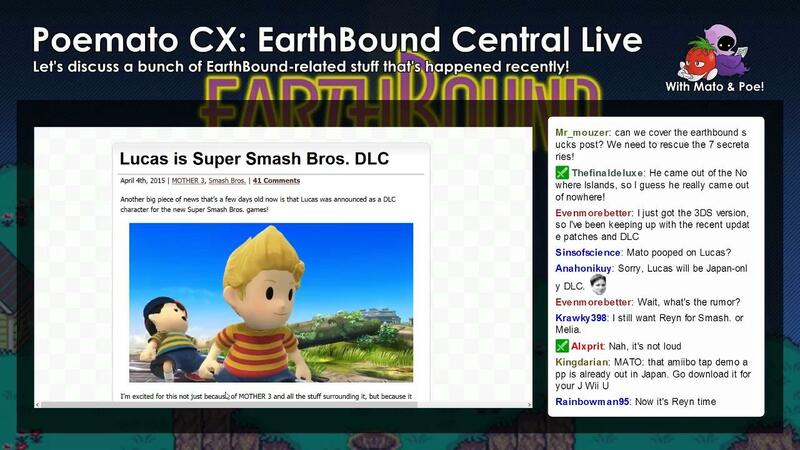 7 Comments to Introducing EarthBound Central Live! Cool! I’ll be sure to join in the next live stream. That’s some really warm commentary, good job MC.